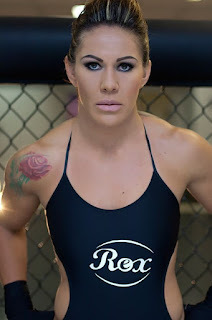 For years, Cris Cyborg has been a dominant champion in the women's featherweight division. After coming to the United States to compete in 2008, Cyborg has been undefeated, fighting in Elite XC, Strikeforce, Invicta FC, and the UFC. She has been incredible to watch, and has finished every woman to stand opposite her in the Octagon, but the one knock against her is that she has hasn't been tested. These promotions have all tried to find her a real test, but none have been successful so far. That could change at UFC 219, as Cyborg faces arguably the toughest test of her MMA career when she takes on former UFC Women's Bantamweight Champion and former professional boxer Holly Holm. After months of negotiating, the UFC was finally able to get this fight booked, and this superfight between the current women's 145 champ and former 135 champ is likely to headline UFC 219 (though a rumored Tyron Woodley vs. Nate Diaz bout could still possibly headline). On paper, Cyborg vs. Holm is a great fight. We all know what Cyborg does best. She's a devastating striker, capable of knocking her opponents out with her knees, elbows, fists, and legs. She is also an underrated grappler and has some of the most powerful throws in the women's weight classes. Holm, on the other hand, isn't much of a grappler, but we all know how incredible her striking is, as her head kick knockout of Ronda Rousey at UFC 193 is one of the sport's all-time iconic moments. In Holm's last bout she did the same thing again to Bethe Correia, and despite losing three of her last four fights, she was still the best option to fight Cyborg. Though Cyborg has knocked out her last 13 opponents, Holm has been especially tough to finish in MMA, and hasn't been knocked out since a 2011 boxing match. Holm is one of the few women's fighters who may be able to handle Cyborg's strikes, and she is one of the few with the finishing power to finish the Brazilian. There's no doubt Cyborg will be a favorite in this fight, but it will likely be the closest odds she's had in years. You have to respect Holm for stepping up a weight class and taking on someone other fighters duck left and right, and fans can now hope for a competitive fight for Cyborg. With Cyborg vs. Holm official for UFC 219, the card is finally shaping up to be quite good. 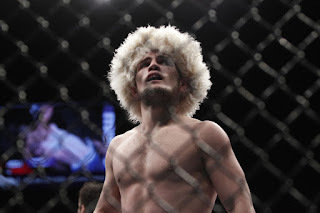 A lightweight bout between Khabib Nurmagomedov and Edson Barboza promises to be intriguing, plus Carlos Condit returns to fight fellow top-ranked welterweight Neil Magny. Jimmie Rivera is still waiting for a bantamweight contender to step up and fill in for Dominick Cruz. If Rivera remains on the card, that brings more excitement to it, especially if John Lineker steps in, as has been rumored. And there's still always the chance Woodley vs. Diaz is added to the card. For an event that just last week was looking like it might have to be cancelled due to having no main event, UFC 219 is shaping up to be a fine way to close out 2017. The UFC has been criticized quite a bit in 2017 for the way it has handled its matchmaking, but this fight between Cyborg and Holm deserves praise. It's the best fight the UFC could have put together, especially on just six weeks' notice, and you have to give the company kudos for getting it done. UFC 219 wasn't looking too hot for a while, but with Cyborg vs. Holm and maybe Woodley vs. Diaz, the card is finally starting to come together and end the UFC's up-and-down 2017 with a bang.